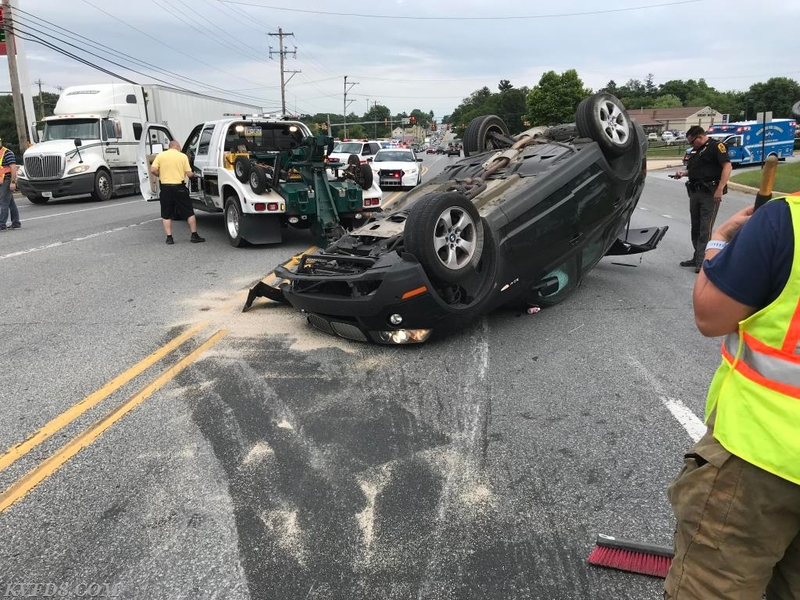 At 4:38 PM, KVFD was dispatched to an accident involving an overturned vehicle in front of the Wawa Market at Commons Drive and W. Lincoln Highway in West Sadsbury Township. Upon the arrival of Deputy Chief Schreiber additional fire police resources were requested as well as a second ambulance. County radio dispatched a fire police task force to assist in traffic control. One person was injured and transported to the hospital by Amb 44 with a paramedic on-board from Medic 93. A second person refused treatment. There were significant traffic delays as the West Sadsbury Township police investigated the crash and the scene was cleaned up. Amb 8 was busy transporting a patient from an earlier crash on Lieke Road in Sadsbury Township reported just a few minutes before this one. Mutual Aid: Medic 93, Dep 31,Amb 1-44, AMB 44-1, FP27, UTL 31, TRF 44, Lancaster Co FP 42 and 52.